Located 90 metres from the beach and 20 metres from the port, Phoenix Hotel features a restaurant and rooms with a balcony. It is situated in Zakynthos, in the lively Solomos Square with bars and shops. 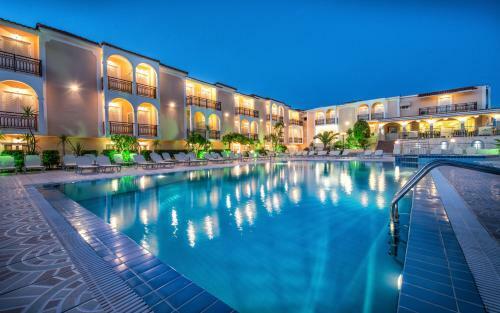 Within 80 metres from a sandy beach, in the traditional village of Agios Sostis, Zante Sun Hotel is an Ionian-style complex featuring a swimming pool with a large sun terrace and a poolside bar. 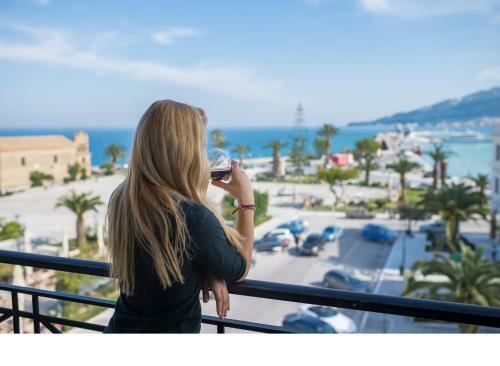 Located 150 metres from Kalamaki Beach, in a green-covered area of 2,500 m�, this 3-star hotel offers a swimming pool, 2 bars and a seaside tavern. Its rooms have a balcony with views over the sea or the garden. 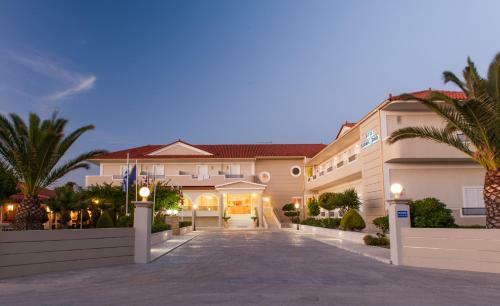 Captain's Commodore Hotel is located on Argassi�s hilltop overlooking Zakynthos Town. It offers a swimming pool with hot tub, a children�s pool and a spacious terrace with free sun lounges. 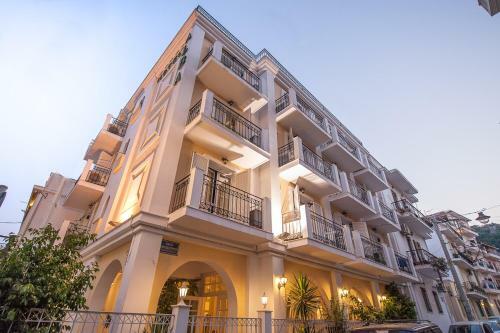 Alba Hotel is situated very close to the historical square of St. Marcos, in the centre of Zakynthos town. The location is very privileged, as you can easily visit and explore the rest of the island, while being based at the town's heart. This family-run hotel is peacefully located in Amoudi and offers a personalised service at affordable prices. Kozanos Hotel is ideal for families and couples seeking quiet holidays near the sea. You could not pick a better place to get to know the Greek hospitality and have a relaxing and pleasant holiday. 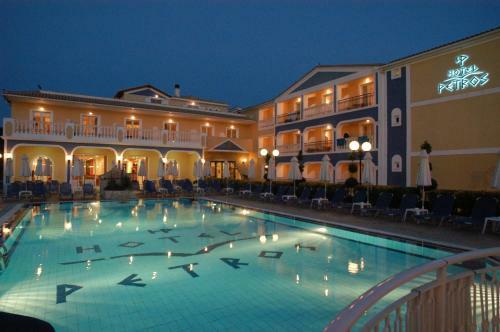 Open since 2001, the Hotel Petros has a traditional and modern style and provides good overall standards. California Beach Hotel is 500 metres from the centre of Laganas Town in Zakynthos. It features an outdoor pool, garden and free WiFi in public areas. Each air-conditioned room includes marble floors and a balcony overlooking the sea and pool. Located on the picturesque hillside of Bochali, 1 km from the nearest beach, Aquis Avalon Hotel offers rooms overlooking the Ionian Sea. It features both an outdoor pool. Each air-conditioned room offers a balcony with sea, mountain and garden view. Located among lush greenery in Bochali Hill and just 1.2 km from Zakynthos Town Centre, Hotel Varres offers a swimming pool with a sun terrace and panoramic views. Free WiFi is available in all areas.